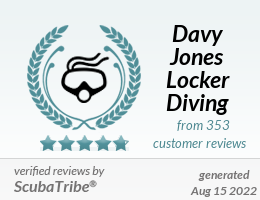 "The highest PADI store rating available - recognised worldwide!" "All DJL instructors at least Master Scuba Diver Trainer Level"
"Learn to dive in our pool before heading into the ocean"
"Visit the best dive sites in Koh Tao based on your dive level"
"Maximum of 4 students per PADI instructor / divemaster"
"Top quality rental equpment for all dive students"
"Full range of accommodation options at Silver Sands Resort and .Rocks Guesthouse right next to DJL"
"Everyone's favourite place to socialize after a dive!" First setup in 1996, DJL Diving is a western owned dive shop on tropical Koh Tao island, Thailand. Originally based in the Mae Haad area of the island and then relocating to Sairee in 2006 where we have our own dive school bar & restaurant, swimming pool, Tech Diving office, classroom facilities along with our dive shop which is located on the beach road, often referred to as 'The Yellow Brick Road' right opposite the Silver Sands Resort where we provide discounted accommodation. We employ around 15 western diving staff (PADI instructors and PADI Divemasters) depending on the time of year, these come from all over the world, but are mostly European, Australian and American. We also have 2 full time Platinum rated Course Directors. Our Dive Team is made up of very experienced instructors, some with up to 20 years teaching experience. With this comes expertise in a wide range of diving activities. Our staff have experience teaching recreational diving courses, divemaster internships, instructor development courses, wreck and technical diving, compressor & boat maintenance, first aid & CPR, expedition planning. Most of our scuba diving courses are conducted in English but we also currently have French, German, Danish and Spanish speaking instructors available. We are a registered PADI Career Development Centre (no. 36338). DJL Diving isn't a giant dive shop, but we are busy. We run two dive boats and we're confident that we can provide a great diving experience no matter what your level of diving certification, and train safe, competent divers. Besides the recreational dive courses that we offer, DJL Diving has a strong focus towards deep technical diving and wreck exploration. We're constantly running expeditions, seeking out new sunken wrecks and isolated pinnacles / coral reefs throughout Thailand. Dive Exploration is an important activity here at DJL - with dive expeditions there is always something new and exciting to discover. This is important for maintaining a dynamic, evolving environment in the dive shop. SAVE 1 day in the classrom with PADI Elearning! 10% deposit to book online!